FAQ – How are engraved stamps produced? 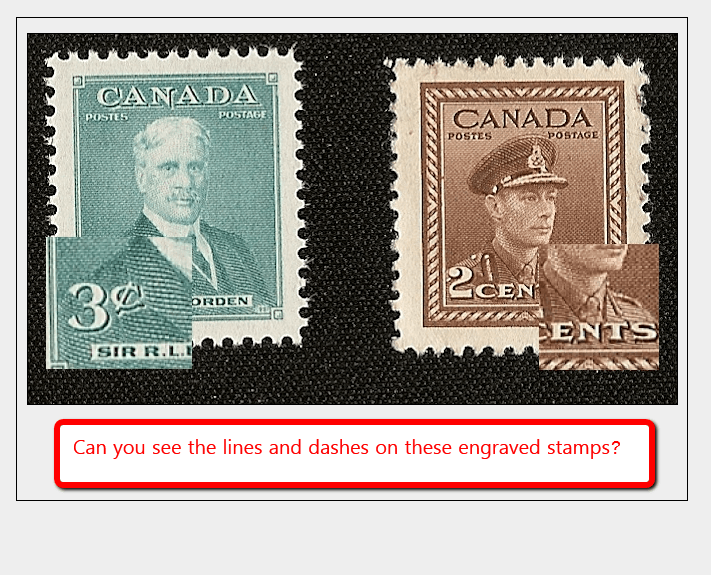 If you examine the description of each Canadian stamp in your Unitrade Specialized Catalogue of Canadian Stamps, you will notice that the printing method of each issue is always stated in the heading. Many different printing methods exist; this article will explain how engraved stamps are printed. However, let’s start with a little history lesson! The earliest Canada stamps were printed by the «engraved» method. Beginning in 1952, lithography was also introduced. The earliest Canada stamps were often printed in just one color; eventually two colors were used. Fast-forward in time and we now see multiple colors on stamps, embossing, foil stamping, holographic images and even moving pictures on our stamps. Printing has come a long way baby! Let’s go back to the beginning though. How were the early engraved stamps produced? 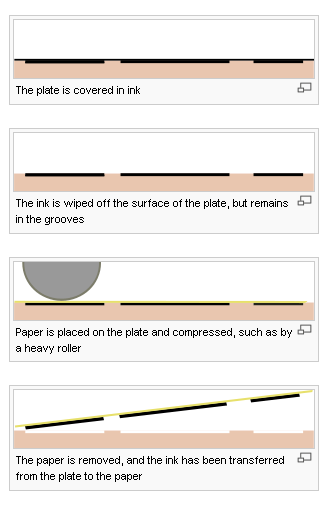 This is a basic description of the engraved method of printing. As the name suggests, the stamp design is engraved, or «cut into» a surface-usually a small, metal square or cube, called a «die» in printing terms. Using a sharp tool, the experienced engraver meticulously cuts the stamp image into the die. The image is engraved in reverse. Once the engraver is satisfied with his work, the «master die» is then pressed onto the surface of a cylinder made of softer metal. The die is pressed into the metal multiple times until the entire cylinder is covered with row upon row of the stamp design. NOTE: the stamp design on the cylinder is now a «positive» impression (no longer in reverse). The cylinder is now rolled over a metal plate, reproducing the stamp image onto it (once again, the image is in reverse). The metal plate is now ready for printing. Ink is applied to the plate and allowed to sink into the recessed, engraved lines. The surplus ink is wiped off and a sheet of damp paper is pressed to the plate with a great weight (the pressure forces the ink up out of the recessed lines and onto the paper). Dampening the paper ensures that the paper is supple enough to sink into the recessed lines. The final result of ink on paper is now a «positive» impression. –the engraved stamp design is usually made up of a series of lines or dashes, which can be easily viewed under a magnifying glass; if you run your finger over early stamps, sometimes you can actually feel the inked line under your finger. –early stamps were only printed in one color. Usually, a second color required the engraving of a second die which only possessed the engraved lines for that particular color. As before, a plate was made for that color and the same sheet of paper was pressed onto the second plate, producing a stamp with two colors. –photogravure is a type of engraved stamp, except the method is slightly different. Very simply stated, the stamp design is made up of dots and these dots, or cells, are engraved or etched into the metal using acid, which «bites» the design into the metal. Canada stamp #482 was printed by photogravure. As mentioned previously, lithography was eventually introduced. Our next article will explain this printing method and others that followed. FAQ – How are stamps printed by lithography produced?